Sorry for the late reply. I had the best time on the City Harley ride 😊. Perry was lovely and your customer service was excellent. 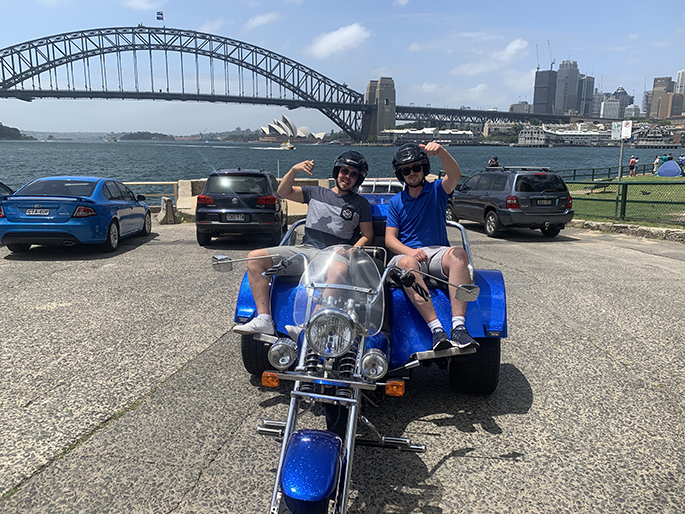 On the City Harley ride Sydney Nada got to see all the main places in the CBD and inner suburbs of Sydney. 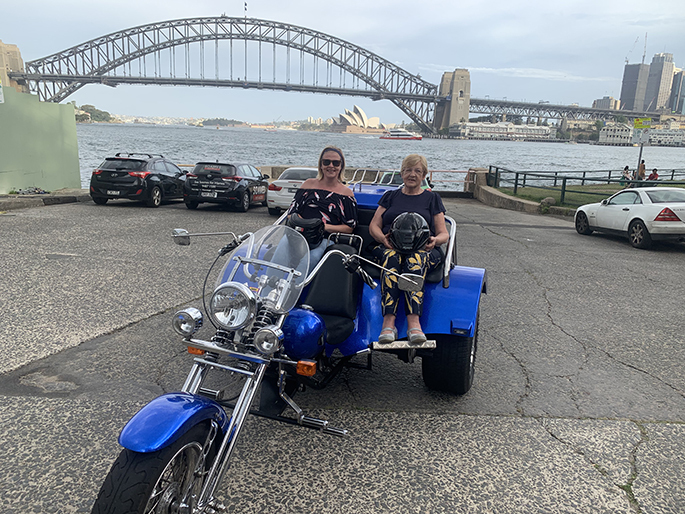 Perry picked her up in the inner west of Sydney and rode her to the Royal Botanical Gardens and Mrs Macquarie’s Chair. They also went through Woolloomooloo, past the Finger Wharf and the infamous Kings Cross and out to Bondi Beach. Woolloomooloo (/ˈwʊlʊmʊluː/WUUL-uu-muu-loo) is a harbourside, inner-city eastern suburb of Sydney. Woolloomooloo is 1.5 kilometres east of the Sydney CBD. It is in a low-lying, former docklands area at the head of Woolloomooloo Bay, on Sydney Harbour. Woolloomooloo was originally a working class district of Sydney and has only recently changed with gentrification of the inner city areas of Sydney. The redevelopment of the waterfront, particularly the construction of the housing development on the Finger Wharf, has caused major change. The Finger Wharf is a heritage-listed former wharf and passenger terminal and now a marina with residential apartments, hotel and a restaurant. The Woolloomooloo Finger Wharf appeared during an era of large finger wharf building. It was built on the site of Sydney’s first fish market (1872-1910) for the Sydney Harbour Trust, which was created in 1900 to bring order to the chaotic state of the wharves throughout the harbour and began a substantial rebuilding program. The jetty was commenced in 1910 and it was largely completed by 1913. 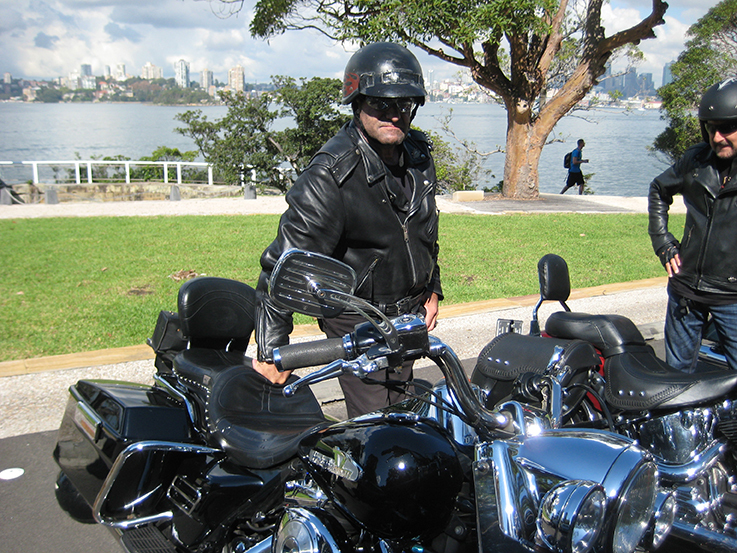 On the City Harley Ride Sydney we drive past Finger Wharf but we don’t stop. It is definitely worth a look through if you are walking past.